Let's just say that I was less than impressed and completely let down. What I didn't understand is that to get there I needed a lot of strength, flexibility, and control of my body. Now, that might not have been a huge problem overall, except I was in Iraq and there were stories about the lake being filled with bodies at one point ?. I think I'll just pass on that. The first few times I was actually sore after doing 5-10 rounds of this sequence. It used a lot of arm and shoulder strength that I didn't think it would. Especially because I was lifting weights in the evening and assumed that my upper body strength had been growing. Like my teachers told me, I'm going to suggest starting with Sun Salutation A if you're just starting a yoga practice. Getting started with this sequence isn't bad honestly. Here's a video if you want to see it performed quickly. It would either be performed as a whole to warm up your body or the poses would be used as transition poses between other poses you're doing in the class. Inhale and raise your back to be flat with your gaze forward. Your fingertips should gently be touching the ground as you keep your gaze forward. On an exhale hop or step your feet back to Plank Pose and lower down into Chaturanga Dandasana. To come out of Chaturanga Dandasana you'll over your toes (or flip your feet over) and roll forward into Upward Facing Dog. Inhale and step forward from Downward Facing Dog into Half Forward Fold. Raise your back to be flat and your gaze forward. Inhale to come out of your Forward Fold pose and slowly raise your arms up over your head and arch back as you look towards your fingers. Note: Again, you do NOT need to arch as far back as the woman in the photo, but sometimes it does feel great to reach back a little farther. Engage your core as you draw your belly toward your spine and keep your legs engaged. Remain only for as long as your exhale and then repeat Sun Salutation A 4-9 more times. 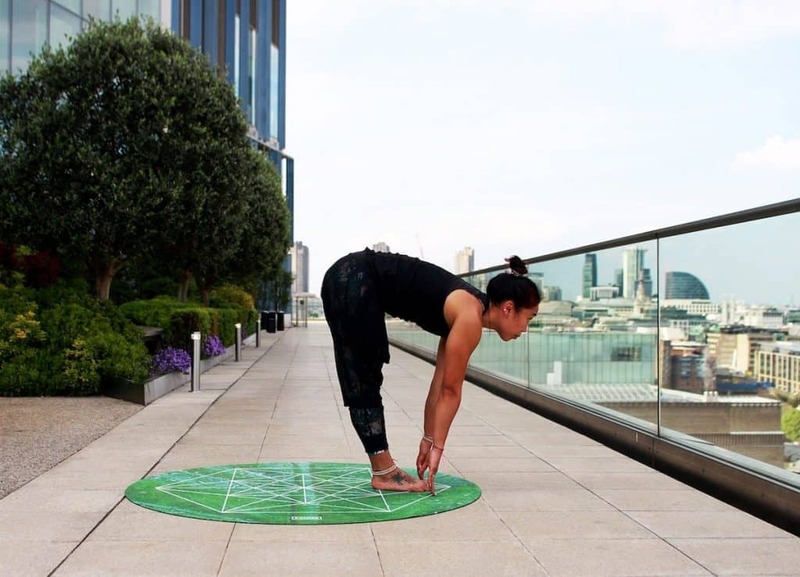 Ok, ok. We went over the full Sun Salutation A sequence… now what? Well sister, you get on your mat each and every day and try to do at least 5 rounds of this sucker. 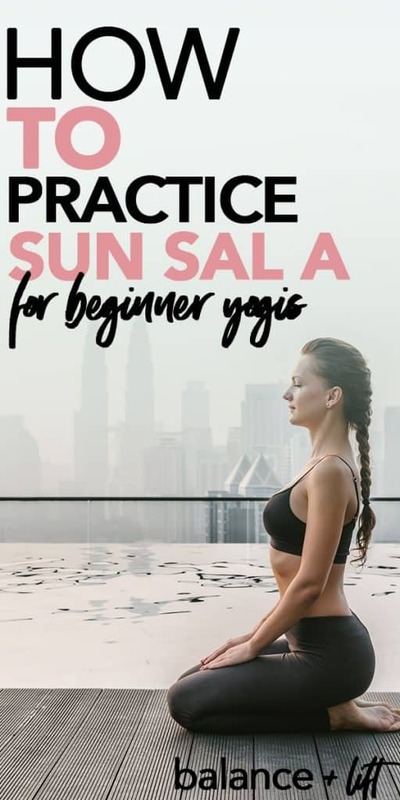 You want to build strength in those muscles so that when you move onto Sun Salutation B you won't be as sore or get worn out as easy. I would start with 5 rounds of Sun Sal A before moving on. Once that gets to where you're feeling good what I would do is practice lowering into Chaturanga quite a few times (like a pushup) to build your shoulder and arm strength. 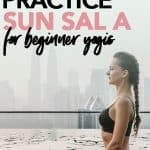 Slowly build up to 10 rounds of Sun Sal A and then move on to adding Sun Salutation B into your sequence. The goal is to get to 5 Sun Salutation A's and 5 Sun Salutation B's. These two sequences together will help build a solid foundation that you can then expand from and build beautiful flows from.